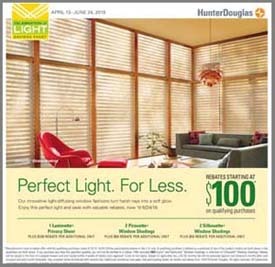 We offer the complete line of Hunter Douglas window fashions, including the latest trends in blinds, shades and shutters. Come by our showroom to see dozens of full-size displays. Learn more. 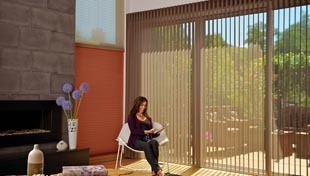 Motorization is the fastest growing trend in window treatments, and the perfect solution for large and hard-to-reach window treatments. 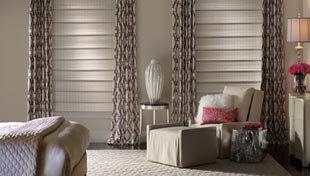 We can meet any motorization need. Learn more. We are your partners in interior design. our professional designers will help you select the most fitting and beautiful designs for your home. Learn more about our custom drapery, bedding, and wallpaper. 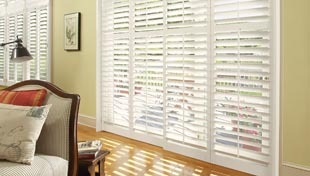 As your local Hunter Douglas Gallery, we offer a complete line of quality window blinds, shades, and shutters in the latest designs. Stop by our showroom or call to learn more about our promotions and rebates today! 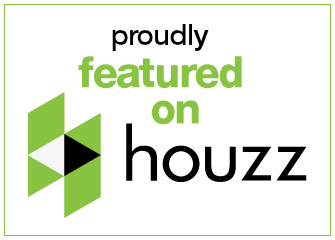 Locally owned and operated, we are the area's leading provider of window fashions, custom fabric, wallpaper, and interior decorating accessories.